Amazing silver plated personalised and engraved Christmas decorations. 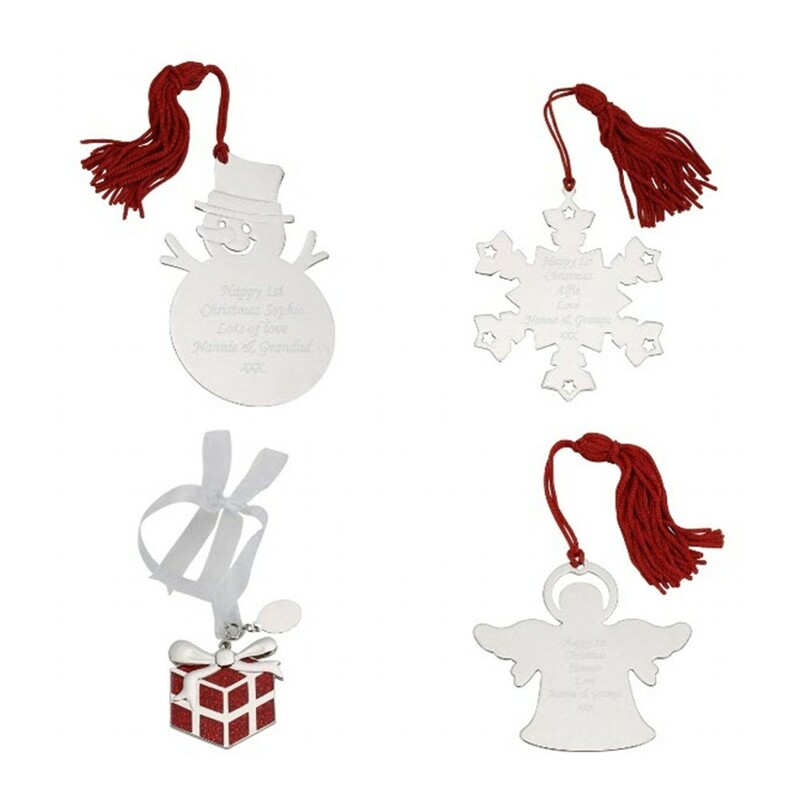 4 styles to choose from: Snowman - 90x60mm, Snowflake - 80mm, Angel 68x69mm and Present - 60x60mm. The Snowman, Snowflake and Angel all come with red and white tassles, the Glitter Present comes with a white organza tie and a red pouch. The engraving is done on the front of all the decorations except for the present where this is done on the reverse. Ideal for a 1st christmas or just a great special keepsake addition for every Christmas to come.